October is commonly associated with both Halloween and the harvest, and what better way is there to celebrate the season than updating your landscape design? Whether you want to showcase autumn’s bounty or create a spooky atmosphere for trick-or-treaters, Dundee Nursery has the Minneapolis area’s best selection of seasonal home and garden accents. With convenient locations in Plymouth and Hutchinson, MN, they make it easy to enhance your home’s exterior. Pumpkins & Gourds: After growing throughout the summer, pumpkins are ready for picking. 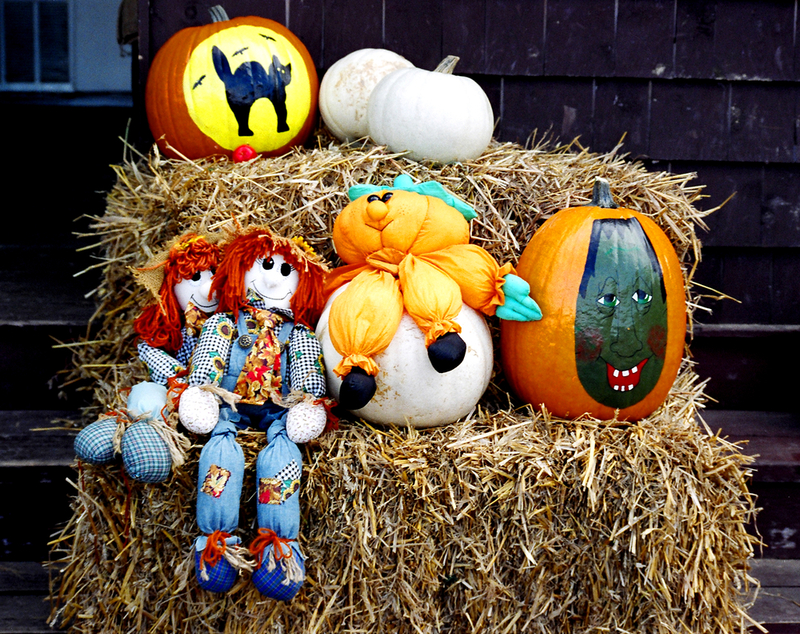 The nursery carries a wide variety of freshly harvested orange pumpkins you can paint or carve to celebrate Halloween. If you prefer an autumnal theme that lasts all season, line your front steps or porch with a collection of pumpkins and decorative gourds. Hay: When autumn arrives, you might think about enjoying a hay ride with friends and family. This classic activity commemorates the harvest—and you can bring that feeling home by decorating with hay bales. Stack them to create a tiered display for pumpkins and flower pots or pull them apart to stuff old clothes for a homemade scarecrow. Corn Stalks: Tall, green corn stalks are a sign of summer. In the fall, the plants take on a soft brown hue that enhances your seasonal landscape design and hints at the upcoming Thanksgiving festivities. These decorative plants are also reminiscent of Halloween corn mazes when bunched and positioned alongside the walls or posts outside your home. If you’re looking for a fun way to update your landscape design for the fall, then visit Dundee Nursery and browse their selection of seasonal plants and flowers. Their greenhouse is stocked with more than 50 varieties of mums, as well as asters and pansies that thrive in cool weather and add color to your display. Visit the garden center online to learn more about their current inventory. To speak with a member of their team, call (763) 559-4004 to reach the Plymouth store or (320) 587-4664 for the Hutchinson location.